Collated by Sharon B. Hodges and Supplimented by MVGS Senior Members. Special thanks to Jack Schleight, past historian, for having written the Society’s history. Without his work much of our history would have been lost. MVGS began with an organizational meeting on 5 March 1991 and received approval of their Articles of Incorporation from the Commonwealth of Virginia on 13 May 1996. The year 2016 is the time for us to celebrate two birthdays! If we have omitted any names, or have your starting date incorrect, please let us know. We are making a list of the year each member joined the Society. Let’s take a look back at how it all began. Growth wasn’t easy. 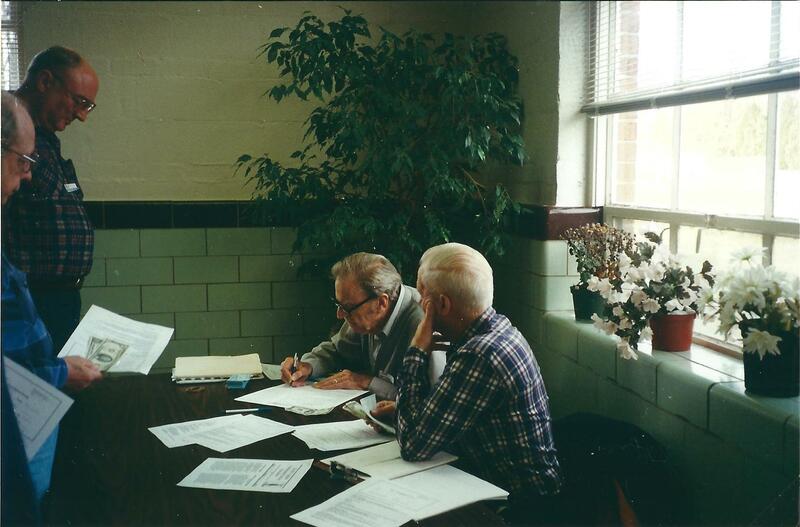 In 1990, the then Director of Hollin Hall Senior Center (HHSC) persuaded Bernard Hensley, a retired Fairfax County High School history teacher, to offer a class in genealogy. The resulting class, which he called "Tracing Your Roots," created so much interest that Bernard repeated it several times. After the classes ended, a group of a dozen or so of his students decided to continue meeting to share their interest in genealogy. Hensley agreed to meet with them informally at HHSC and, beginning in May 1991, this group, often referred to as “The Club,” began gathering monthly to pursue its interest in family history. Over the next three years “The Club” continued to meet monthly in one of HHSC's former classrooms, Room 214. Other groups meeting at HHSC were referred to as “clubs.” Possibly to maintain a distinction between “The Club” and the other clubs, the genealogists decided to call themselves the Mount Vernon Genealogy Group. It wasn’t easy in the beginning being part of HHSC. While HHSC was sympathetic to the genealogy group's aims, and provided a room and some equipment, Fairfax County’s rules regulating HHSC placed limitations on the genealogy group. Since HHSC could not, at the time, charge a fee for its services, the genealogy group, in HHSC’s Director's view, could not collect dues from its members. Also, since HHSC was for seniors, no one under the age of fifty could join the genealogy group. As the genealogy group needed some funds for trips and other purchases and since it could not officially collect dues from its members, it was decided to "pass the hat," taking up voluntary collections at its meetings. Homer Hall volunteered to act as the unofficial treasurer. He kept the funds in a cigar box, which he studiously kept under lock and key. Other commitments soon led Bernard Hensley to leave the group. Jack Shawn took his place as the club's new "chairman." The lack of a steady and predictable income, however, made it impossible for the group to budget for its activities. The absence of a budget, in turn, ruled out any long-range planning. Programs during these years were almost exclusively internally directed, with members either sharing genealogical experiences or visiting organizations that dealt with genealogy. With a few exceptions, there was little organized attempt in the early years to reach out to the community either through advertising or by providing services to other genealogically oriented organizations. At meetings the group's members exchanged ideas and experiences about genealogy, discussing basic genealogical ideas and practices. One session, for example, dealt with the extensive genealogical collections of the Church of the Latter Day Saints. Another meeting dealt with military records and military pensions, what they were and where information about them could be obtained. Land records, which often prove to be fertile sources of ancestral information, provided the theme for another meeting. Discussions on how to find and explore the lists of immigrants who came to North America by sailing ships and steamers during the past three centuries were held. At the time of this 1993 meeting, these lists were available only on the microfilm at the National Archives or one of its branches. The lists, however, became increasingly available as they spread across the internet, thanks to the willingness of many researchers to share their findings. In this same vein, the subject of migration patterns and trails was also taken up by the group. One session dealt with records that resided in courthouses -- probate records, courtroom proceedings, etc., -- as keys to our predecessors’ legal lives. Some sessions included members' personal experiences. One participant described the pitfalls and delights of cemetery rubbings -- how to make and preserve copies of valuable data from tombstones and memorials. Another provided suggestions on how to do research when it appears that all avenues are closed. As a precursor to MVGS’s later enthusiastic adoption of computer-based research, a member demonstrated how to use and get the most benefit from a computer. Others told of the problems they faced, and how they worked around them by writing their family histories and biographies, and in creating oral interviews on videotape. With few exceptions, the presentations to the group in these early years represented a sharing of information among members rather than importing information from the outside. Discussion sessions were supplemented by group visits to some of the local genealogical repositories. Like so much else in the Washington, DC area, "local" meant national. The genealogists had the advantage of being located near some of the most important genealogical collections in the nation, most of which were less than an hour away. High on the list were visits to several governmental repositories. At the Library of Congress they were introduced to the catalog system, the reading room, and the magnificent map collection, which is regarded by many as the most extensive in the world. At the National Archives the Society's members learned how to find documents and how to use them in what is now Room 203. They experienced the wonders of the microfilm room where they looked at copies of censuses, ship immigrant passenger lists, military records, and a myriad of other documents, all free and available on the Archives’ microfilm readers and printers. Back in Virginia the members examined the extensive holdings on Virginia history at the Lloyd House in Alexandria; traveled to the headquarters and library of the National Genealogical Society in neighboring Arlington; and received a guided tour of the Virginia Room of the Fairfax County Library, another treasure trove for genealogists interested in the history of Virginia. Two important events took place in 1994. The first issue of the newsletter was published in July with Connie Murphy as editor. Pictured Right. By early 1994 our genealogy group had grown to the point where the members needed to take a close look at the Club’s future direction. Until then it had been largely self-contained. With no long-range plan, the group lacked a framework for controlling the direction of its expansion. The need for better organization was evident. The club now had close to 40 members, which represented the upper capacity of Room 214. There was need to regularize how and when the room was used. Besides providing a place for board and general meetings, the room had also come to serve as the Club's library. 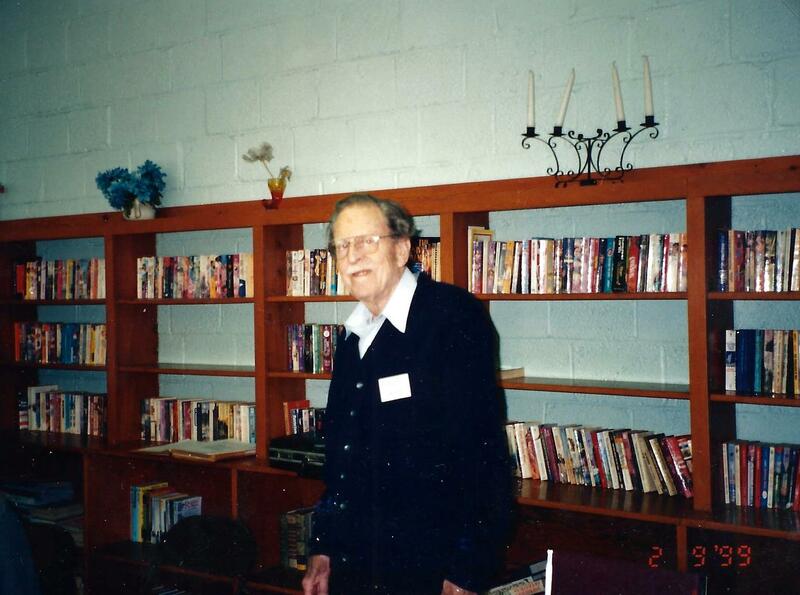 Jack Shawn started the library by donating a filing cabinet. Other members gave books, periodicals, and other genealogical material. However, the room was not yet open for research at scheduled times; a small number of people just stayed around after the monthly general meeting. At other times the room remained empty. This uneven use of the room made it difficult to convince the Hollin Hall Senior Center’s (HHSC) administration that the room should be devoted to the group. HHSC, of course, had an interest in the maximum possible use of the rooms. A combination of anticipated new holdings and the need to schedule use of the room dictated better organization. The existing method of arranging programs and speakers for the monthly general meetings also needed to be handled in a more systematic order. An example can be seen in the Club's programs for the summer of 1994. Pictured Left are Doreen Weston, Betty Brock and Ray Bailey. Jack Shawn may be seen behind the trio. Betty Brock was responsible for arranging the programs, assisted by Ed Schott, at the time a new Club member. In April a tentative agenda was proposed for the next quarter that included: a May trip by the members to the Bureau of Land Management, and in June and July lectures by two club members. When it was discovered that a nearby Mormon Family History Center (FHC) was scheduled to open shortly, the chairman suggested the group visit it in June. The two presentations by members were rescheduled for July and August. When the replaced June speaker could not make it in July, the two lectures were again rescheduled, this time to August and September. The opening of the FHC was delayed, however, and the presentations were again juggled for June and August, leaving July vacant. One additional rescheduling was needed before the program was finally set. While such juggling was not unusual in scheduling speakers, it reflected the need for the creation of a formal committee with more volunteers to help with programming. The need for this was understood, particularly in light of the group's agreement that its meetings must expand to include more and more outside professional speakers. However, the Club was still being held back by a lack of funds. In May the "treasurer" noted that the cigar box contained $11, the remnants of the most recent hat-passing. Since there was no money to mail notices of meetings to members, one or two of the group volunteered to call members a day or two ahead to inform them. Publicity was limited to a periodic notice of meetings in the local Mount Vernon Gazette, and then only because the chairman personally hand-delivered the notice to the editor. A firmer financial foundation was needed if members were to become better informed and the group's story was to be made known. Throughout the spring and summer of 1994 the members tackled these questions and ended up transforming the club into a society. They changed the organization's name to The Mount Vernon Genealogical Society of Virginia (Society). The words "of Virginia" were added to avoid potential confusion with societies that might exist in Mount Vernon sections of other states. Although it was suggested that a search be made to see if there were any such societies, the chances seemed slim and the two words were quietly dropped. The question of dues came up, but was not resolved. The treasurer noted that the American Association of Retired Persons (AARP) held meetings at HHSC and charged dues to its members, so there would seem to be no impediment if the Society did likewise. Pictured Right Burt Weston Treasurer and Left he is recording member's $6.00 dues. In its reorganization, an elected board was suggested with a President, Vice President, Secretary, and Treasurer. A dissenting opinion that questioned the need for a Vice President was muted by agreement that a Vice President was necessary when the President was absent and there was nothing to prevent him or her from also chairing a committee. Jack Shawn was chosen as the first President of the new Society. In his "inaugural" message, he announced an initiative for the Society to begin to look outward by increasing its role in publicizing genealogy in general, and the Society in particular, at libraries, schools, churches, and to the community. He called upon the members to develop ideas and projects to help spread the word. By the end of 1995, when his term ended, the new Society was well underway. A second initiative was aimed at preserving the collegial atmosphere of the group. From experience, the new president knew that institutions tended to become increasingly impersonal as they grew larger. By March the Society had over 100 members, raising concern that it could lose the close personal relationships among members that had made it a success when it was “a club.” Further, it became apparent that the influx of members had introduced wider areas of interests among attendees at the general meetings, a spectrum of interests that could be satisfied only by presentations on general topics. In short, it was felt that it was seldom possible in group meetings to satisfy specific genealo-gical interests of members. This challenge of preserving a balance between the general and specific elements of genealogy in the Society's programs was one that future presidents would continue to grapple with. To counter the trend toward generalization, the Society strove to encourage members to preserve the valuable personal relationships with other members and work to provide for members’ individual genealogical interests. The Society formed a computer subgroup, and it was suggested that similar "special interest groups" could be organized around a particular country, particular regions of the United States, techniques of research and writing, or around any other topic in which enough members showed interest. Although they originally envisioned these subgroups as getting together apart from the monthly meetings, this hope proved impractical. An idea was tried successfully at the October general meeting when the customary single speaker was replaced by small groups of members gathered at eight tables to exchange ideas on such common interests as court records, the Family History Center, census records, etc. A precedent was set. In future years one or more of the general meetings each year would see members sharing their work in small groups. The one group that remained intact from these early days was the computer group, which later became the nucleus for one of the major committees. The Club had successfully transformed itself from a small band of genealogy enthusiasts into an embryonic and functioning Society. It had a Board of Directors, along with a system for electing their successors. Most of the surviving earlier practices that had been hammered out by trial and error over the years had become part and parcel of the Society's normal way of operating. Several committees, such as ones for programs, membership, rules, and finance already existed, with the outlines of a few more coming into view. All of this progress had to be recorded, however, both to clarify it in the minds of the members and to preserve it for the future. The new president, Army Colonel Ed Schott (Retired), turned to Jim Macklin, a lawyer and chair of the Rules Committee, to research and come up with a blueprint for the new Society. The chair and his committee combined elements of the bylaws of several other genealogical societies with items unique to the Mount Vernon Society that had been written earlier into a charter to produce a set of bylaws that the board approved on 7 May 1996. The bylaws described the Society as an organization designed to give those interested in genealogy an opportunity to come together as a community to share their interests. To do this the Society was to offer courses in genealogical research methods and standards of accuracy and thoroughness. The Society was also chartered to provide a forum for sharing research findings. Per the bylaws, anyone interested in genealogy and willing to abide by the Society's rules could become a member, either as an individual or a family. An honorary membership could be conferred on anyone who performed a significant service to the Society. The question of dues was resolved by the provision that the members could set the amount by a two-thirds vote, the practice of other genealogical societies collecting dues set a precedent. There is no indication that HHSC's director took part in this decision. All members of HHSC were welcome to attend the Society's monthly general meetings as guests. In an ominous-sounding clause, the charter included a provision that a member who brought disrepute on the Society could be expelled, although it left to the imagination the nature of such offense. Members were encouraged to share in making some of the Society's decisions. As an example, members were to have a say in choosing the governing board. Each year a nominating committee compiled a slate of candidates for the coming year and presented that slate to the members at its November meeting. At the following month's meeting, members may submit additional names for consideration, after which a vote is taken to select the new board. Proposed changes to the bylaws may be submitted by petition signed by at least ten members. Approval of amendments required a two-thirds vote of the members present. Changes in the amount of dues also required a two-thirds approval of the members. The duties of the Society's officers were clearly defined in the bylaws. The President is responsible for all the Society's business by seeing that all activities are performed in accordance with the provisions of the bylaws. Besides calling and presiding at the Society's general and board meetings, he/she also is the official spokesperson for the Society. When the President is absent, or otherwise requested, the Vice President is to assume these responsibilities. 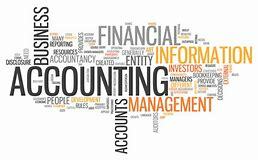 To the Treasurer falls the obligation to collect, deposit, disburse, and make an accounting of all money that comes to the Society and also maintains financial records and prepares an annual fiscal statement. The Treasurer also keeps the official membership records. Finally, the Secretary prepares and maintains the records of the Society's meetings and all other permanent records of the Society. The bylaws place a tenure limit of three consecutive years on each of these positions. The charter mentioned two types of meetings: regular meetings and board meetings. Regular meetings, which came to be called "general" meetings, are open to all Society members and "may be held" on the second Tuesday afternoon of each month. By specifying a particular day of the month for the meetings, these early bylaws created what later became the somewhat awkward necessity to seek member approval whenever the day changed. 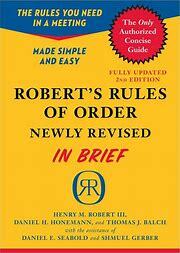 The only guidance provided for the conduct of the meetings was found in the general rubric that the Society would follow the latest edition of Robert's Rules of Order in all its business. For the most part, the general meetings faithfully mirror this agenda: approval of the minutes of the previous meeting, presidential remarks, reports by committee chairs, old business, new business, and the speaker or activity of the day. New members and guests are introduced at these gatherings and asked to mention their research interests. A social time for coffee and refreshments concludes the general meetings. Although scheduled to last one and half hours, in the beginning, the sessions sometimes went longer. The meetings of the Board of Directors are to be held at least quarterly at the call of the President, and these, too, follow Roberts Rules of Order. The Board, consisting of Society officers and committee chairs, established policies and managed the Society's business and affairs. It approved budgets and initiated an annual audit of the Society's financial records. Although originally envisioned as taking place every three months, these meetings gradually expanded into monthly affairs of two hour duration. The original bylaws called for six permanent standing committees, and for temporary ad hoc committees which the President and Board could create, but which would expire along with the president's term in office. Unlike the officers, no limits were set on the tenure of the chairs of the six committees: Programs, Services, Finance, Membership, the Newsletter, and Rules. More information about how the committees got their start and what our hardworking committee members do today. Of all the committees, Programs was meant to provide the most direct interface between the Society and its members. It was given three responsibilities: to run all general meetings, which meant scheduling, arranging for guest speakers, and providing the rooms and setting up the equipment; second, to develop and coordinate field trips for the members; and, finally, to design workshops and present training courses. Committee members were divided into teams, one for each of these responsibilities. The committee's chair during its first two years (1996-1997) was the former president, Jack Shawn. In the first year the committee divided its energy among all three tasks. At the monthly general meetings the members and guests heard presentations and discussions on a variety of genealogical subjects: where to locate and how to get the most out of military, church, and cemetery records, land and probate documents, maps, the voluminous collections of the Latter Day Saints, and Canadian and Irish archives. Some speakers discussed the joys and perils of writing and publishing family histories and other genealogical works. There were also practical talks on doing research at the National Genealogical Society's Library in Arlington, the Lloyd House in Alexandria, the Library of Congress, the National Archives, and the DAR Library in the District of Columbia. 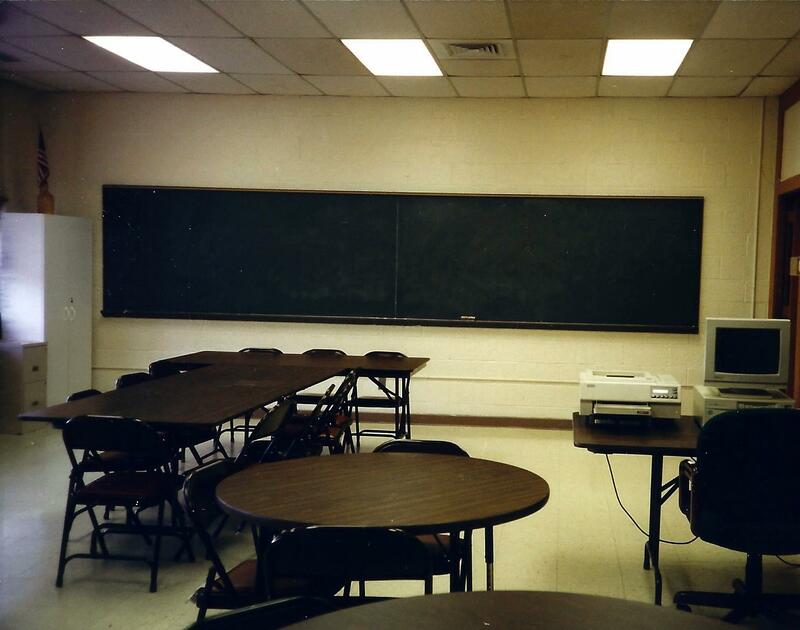 As part of its responsibility for providing meeting rooms, the committee became involved in an important room change in 1997. Until then, membership meetings were being held on the first Tuesday of each month in what had once been the school's cafeteria, although Room 214 was still used for board meetings and the Society's growing library. Membership meetings had been transferred out of Room 214 in 1995, out of concern for the members' safety and convenience. Monthly attendance began to exceed the limit of forty as prescribed by fire regulations. The room's single door was a potential safety violation. In addition, some of the less agile members found it difficult to climb the stairs to the second floor. The move to the cafeteria had alleviated these concerns. By late 1996, however, dissatisfaction with the cafeteria began to surface. 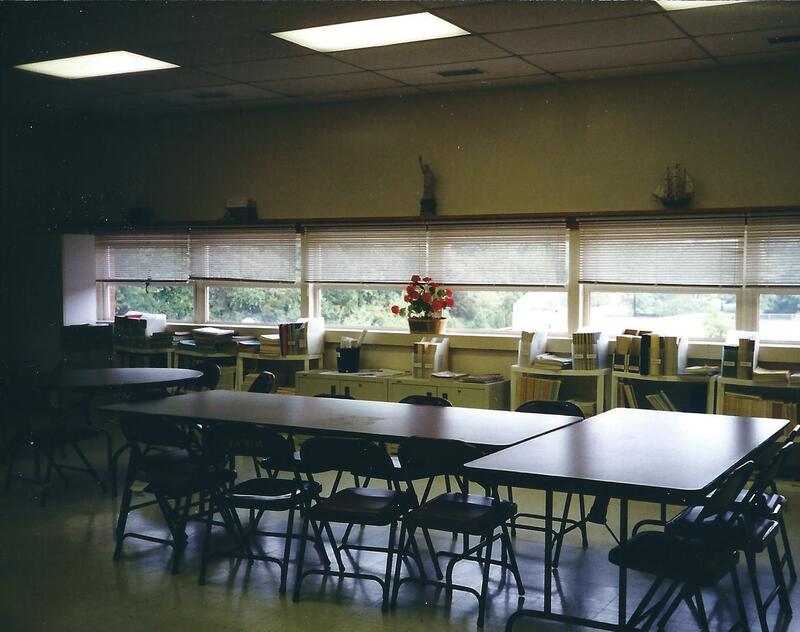 A July 1997 memo contrasted the cafeteria with another available room (218). While the cafeteria had the benefit of accessibility for handicapped members, roominess and the capability to expand, more room for the social hour that followed each meeting, the convenience of a kitchen, and the increased safety of a double door, it suffered from poor acoustics, difficulties with visual aids, awkwardness of setting up and taking down chairs and other equipment. On the other hand, Room 218 was smaller and carpeted, which meant better acoustics, its visibility was unobstructed, it offered a more intimate atmosphere, was just across the hall from the library, had two doors which made it safer, and setting up and taking down the equipment for the meetings would be easier there. Also, the recent installation of an elevator eliminated accessibility problems. A disadvantage was that capacity in Room 218 was only ninety and it was available only on Wednesday afternoons, which would necessitate a change in the time of the monthly general meetings. Swayed by the new room's advantages, and by the argument that if the attendance grew beyond the room's capacity the Society could always move back to the cafeteria, the change was made in July. Since the new room was available only on the second Wednesday of each month, the bylaws were amended to reflect this new time. For the next three years members met in Room 218 on the first Wednesday afternoon of each month. Board meetings, which had settled into a monthly routine, continued to meet on the third Tuesday of each month. Responsible for the education and training of the members, the committee experimented with several approaches in 1996 to get a program off the ground. 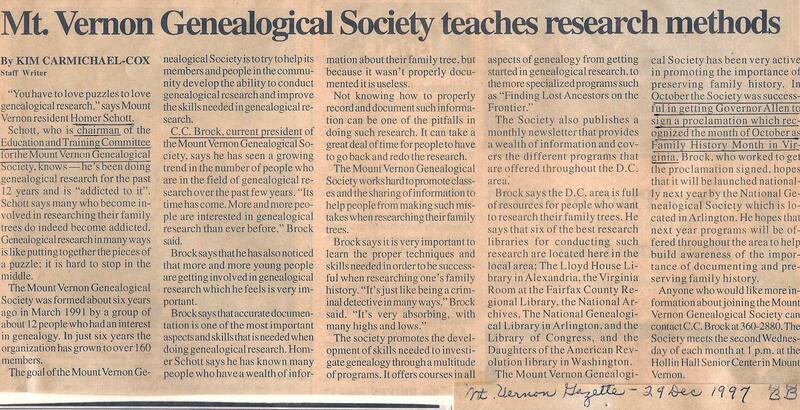 In January the chair floated the idea of holding an all-day instruction session in genealogy for Society members. Lack of interest made this proposal stillborn. In February the Society began holding a series of "mini-sessions" - - voluntary gatherings of members in Room 214 after each month's general meeting. This was a further development of the initiative of the year before which called for supporting research in particular fields. Each session dealt with a specific genealogical topic. At the first of these gatherings on 6 February the attendees discussed "Getting Started." For the next three months they met to talk about census records. Dwindling attendance throughout the summer, however, led to a temporary discontinuation of the program after September and its final demise in December. To keep the specialization initiative alive, the chair proposed a new four-tiered education program. The first tier of courses, to be presented bi-monthly, would deal with basic genealogy. The second, third, and fourth tiers would be more elaborate, gradually building on the basics. The Board was enthusiastic and approved not only a new program but also a standing committee to administer it. The new Education and Training Committee met quickly and set to work planning its curriculum, with Ed Schott the committee’s chair. Although the Program Committee had relinquished one-third of its duties, it still had more than enough to attend to. During these years it introduced several practices, which became accepted parts of general meetings. In July 1995 Ray Bailey began making video recordings of the meetings. Several weeks after each meeting the speaker received a copy of the tape. This became a unique custom of the Society. The original tapes were kept in the library and made available for loan to members who missed a meeting or wanted to review the information. These older tapes have become important research tools and are available in the Research Center. In February 1996 the Society began providing small printed programs at its meetings. These brochures gave the attendees a brief description of the meeting, the speaker, the subject, and any last-minute information. The programs proved popular and continue to be distributed. Later, for a short period, the program included the surnames that members were researching. The following March the Society began the practice of giving each speaker, in addition to the tape, an engraved Jefferson Cup as a token of appreciation. Since speakers were not paid for their appearance, these gifts were given in lieu of an honorarium. In January 1998 Gail Gardner, a former member of the Foreign Service and retired Army civilian, became the Society's third president. At the same time the mantle of leadership of the Program Committee fell, for the next two years, to Julia Carr. The success of the numerous specific genealogical courses, which the Education and Training Committee was offering, allowed the Program Committee to concentrate on topics of common interest at the general meetings. Taken as a whole, the 1998 offerings reflected a balance between substantive and methodological topics. Substantively, there were several fairly specific topics: a member of the Washington family elicited gasps from the audience as he unraveled a 32-foot long genealogical chart connecting our first president with the present; two state librarians gave a progress report on their ambitious project to reconstruct the destroyed archive of colonial Virginia using documents from repositories in England, Ireland, and France. This is now known as the Colonial Records Project at the Library of Virginia. A former member of the Daughters of the American Revolution discussed the little-known role and contributions of women in the American Revolution, while a group of Civil War re-enactors from the National Park Service illustrated how they use their experience with black troops to interpret and preserve genealogical materials for others to research. 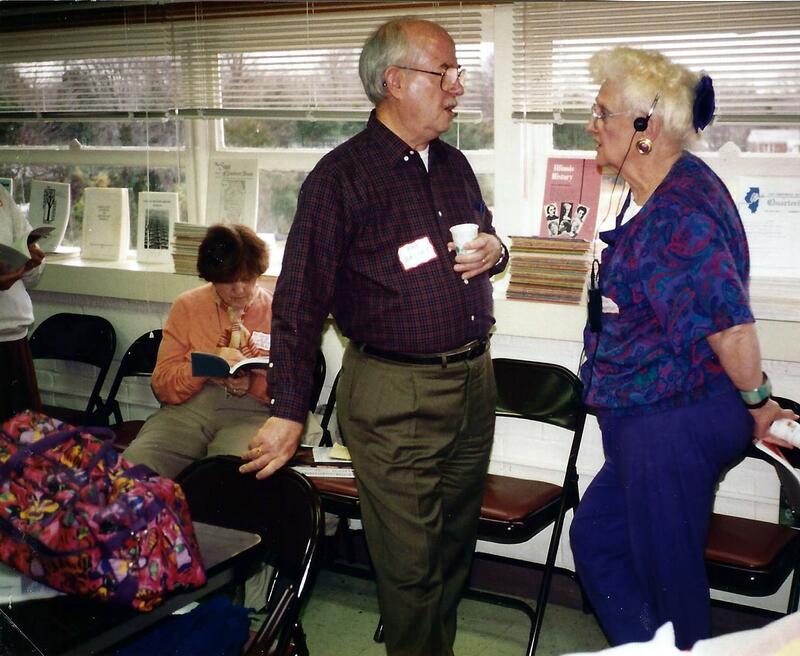 Two of the 1998 general meetings were run by the members themselves, continuing the tradition of encouraging a close-knit membership. 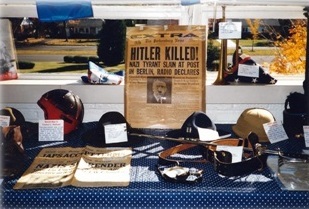 Since the November gathering took place on Veteran's Day, the meeting room was converted into a museum for members to bring military and genealogical items from all of America's wars from the Revolution to Desert Storm. With but slight hyperbole, one member observed that the "exhibit would have challenged most war museums." There were swords and pictures of members' ancestors from the Civil War. A mini arsenal included a Japanese Paratrooper rifle, a US Marine carbine, and a Revolutionary War flintlock pistol. One member displayed a piece of a World War II B-24 that had been shot down with him aboard. 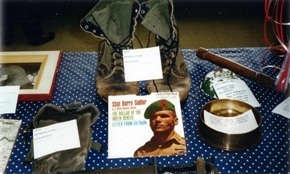 A pair of jungle boots, a North Vietnamese rice bowl with a bullet hole in it, and Viet Cong flag brought the display closer to the present. 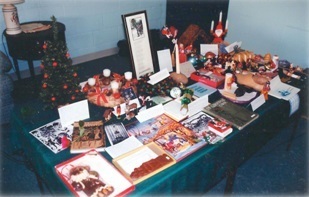 The second member-run meeting was the annual Christmas gathering, where attendees described and compared Christmas traditions of their ancestors. These ranged across seasonal foods and customs from the British Isles -- the boar's head, the wassail bowl, Yule Log, and Mummer's Play. One member told of the traditional Lutefisk dinner of his Norwegian ancestors. Others depicted holiday practices they had experienced in Bavaria and in Italy. Programs the following year emphasized sources and methodologies. Lectures on sources were given by a representative from the National Archives describing new material available there, the owner of the neighboring genealogy bookstore provided hints on how to discern good genealogy books from useless ones, and a speaker outlined the main sources of English genealogy from the Thirteenth Century forward. One Society member discussed the surprisingly large amount of genealogical documentation that was collected by the Works Progress Administration in the late 1930s and early 1940s and is now available, while another gave a scholarly overview of Scotch-Irish Immigration from Scotland to Ireland to the United States. Other speakers discussed genealogical methods. Two county librarians extolled the virtues of interlibrary loan. An attorney/genealogist unraveled the intricacies of courthouse records, while an expert on land and tax records helped to alert his listeners to the challenges to be encountered when searching these records. The year's programs came to a climax in December with a delightful and instructive depiction by the Society's librarian of the genealogy of Santa Claus. From mythical beginnings at the North Pole and Scandinavia, she described the diversity of names under which Saint Nicholas appeared in the different European countries during the Christian Middle Ages -- France, Austria, Germany, Holland, Alsace and Czechoslovakia. This was followed by the post-Reformation appearance of the secularized saint under many different names throughout Europe. The genealogy ended with the "immigration" of Santa Claus to America. As with so many thousands of other immigrants, the name was transformed in the process from Sinterklaus (Dutch) or Christkindl (German) to Santa Claus. Following its separation from the Program Committee at the end of 1996, the new Training and Education Committee set to work on its mission, which was to provide genealogical training and education for members of the society. This took two forms: internally, by sponsoring and developing courses within the Society, taught by Society members and, externally, by keeping members abreast of courses and workshops that were being given by local and national genealogical organizations and repositories. The committee's charter made a distinction between training and education. Members who desired were to be trained in the practical, hands-on methods of assuring accuracy and completeness in their research and of properly documenting their work. Education courses, on the other hand, were to delve more generally into such critical and more theoretical subjects as evaluating sources, determining causality, and understanding the relationship between history and genealogy and other subjects. With his customary energy and efficiency, Ed Schott called his committee together early in 1997. Its members were chosen from among those with an educational background in teaching or writing. At this initial meeting it was decided that an in-house, basic course for members could, indeed, be presented. Once this course was well underway, they would plan intermediate and advanced courses. The idea built upon but modified the four-tiered program proposed by the Program Committee chairman at the time the two committees were separated. The aim of the new basic course was to ground the members in the fundamentals of genealogy: how to record data on standard forms, how to cite sources, how to locate and research secondary sources, and how to conduct research in such databases as census schedules, the databases of the Latter Day Saints, and state and local records. The initial emphasis was on training. The forthcoming course was first announced, along with an invitation to enroll, at January's general meeting. Two two-hour lessons were offered in Room 214 in January, followed by visits to the National Archives and the DAR Library in the District. Despite the plan to limit the sessions to 15 participants, 34 signed up, leading to a second run of the course in March and a third in June. In the meantime, the basic course was augmented by a number of specific courses: Evaluating and Analyzing Evidence and Researching in Germany appeared in March; Researching in England in May; Military Records in June; and Ireland, Virginia and West Virginia in August. In addition to these in-house presentations, one member gave a course at the Lloyd House in Alexandria, while the chair held three-hour workshops and orientations at the neighboring Mount Vernon Family History Center (LDS). The response to these offerings was overwhelming. Beginning in March the chair set up a table at the monthly general meetings with course descriptions and sign-up sheets. By August 137 students had graduated from one or more of the twenty-one course presentations that the Society had offered. The chair began listing in the monthly newsletter not only the free courses being offered by the Society, but also those taking place at nearby repositories and genealogical organizations, some of which required a fee. By September the members were ready for an intermediate course, which was introduced that month and repeated in October. Building on the foundation laid in the basic course, this new offering dealt with such advanced topics as researching newspapers, county courthouse records, migration patterns, and using computers. At the same time, attendance at the basic course began to decline. The problem was less one of waning interest than of members signing up but not showing up. Believing that in most cases members had a valid reason for not appearing, the committee sought to solve the problem by sending each enrollee a reminder slip with the instructor's name and phone number to be used in case he or she planned not to attend. In the fall the basic and intermediate courses were joined by several other in-house courses that examined how to cite sources and how to do family history. In the committee's first year, 205 Society members had availed themselves of 33 in-house course offerings, taught by a volunteer faculty of ten members. 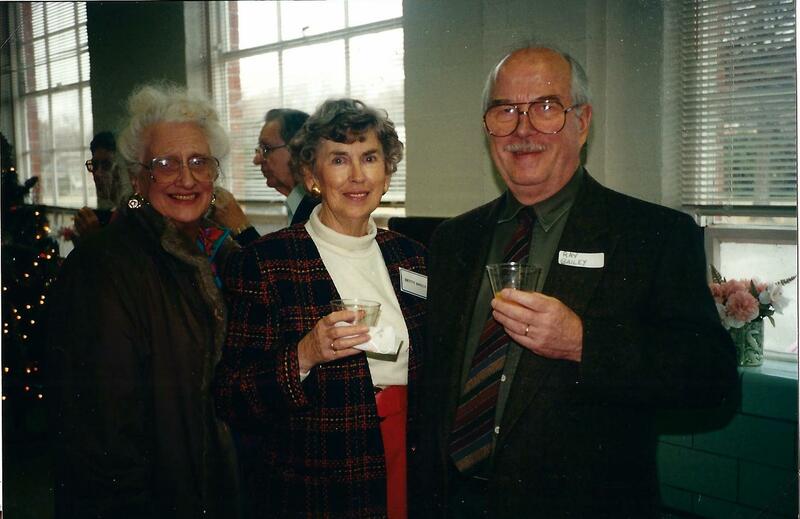 During a meeting early in 1999 the committee decided that the Society would host a genealogical conference in the fall, patterned on one that it had assisted in presenting the preceding fall at the Family History Center. Chuck Mason, at the time head of the Membership Committee, took responsibility for the conference, which was given the title "Stirring the Melting Pot." The analogy continued in the three groups of topics from which attendees could choose: speakers discussing basic genealogical subjects were grouped in the "Meat and Potatoes" track; more advanced topics fell into the "Exotic Spices of Genealogy;" the top category of subjects were found in the "Genealogical Fast Food" category. Continuing on with Committees, next to be discussed is the beginning of the Services Committee, you may be surprised at its scope and accomplishments. Unfortunately, this committee no longer functions due to lack of volunteers. While the Program and Training and Education Committees performed the functions directly affecting Society members, a Services Committee was responsible for the indirect, logistical support of members and for designing programs reaching outside the organization. The Society's original by-laws gave this committee a full plate of functions both internally and the Society's interface with the outside community. Internally, it was in charge of building and maintaining a library including developing what was called a phantom library consisting of books which members were willing to lend as well as indexing members' ancestry charts. Externally, it was encouraged to create projects that would heighten interest in genealogy not only among members, but among others "from afar" who were doing research in the Mount Vernon area. To do all this, the committee was divided into three teams, each of which later became independent standing committees: a Library Team, an Awards Team, and a Special Projects team. The Library Team quickly became a special committee, while remaining under the purview of the Services Committee. The Awards Team became a subcommittee and then a Special Committee, also still part of the Services Committee. The Special Projects Team remained the main engine driving a newly instituted outreach program. Its aim was to spread the genealogical word to as many outside organizations and individuals as possible. An outline of the first large outreach program appeared in October when Fairfax County's Historical Committee asked for some Society members to join a project to preserve and organize county records dating back to 1870, which lay untouched in the county's archives. It was not until the following year, however, that work actually began on the project. 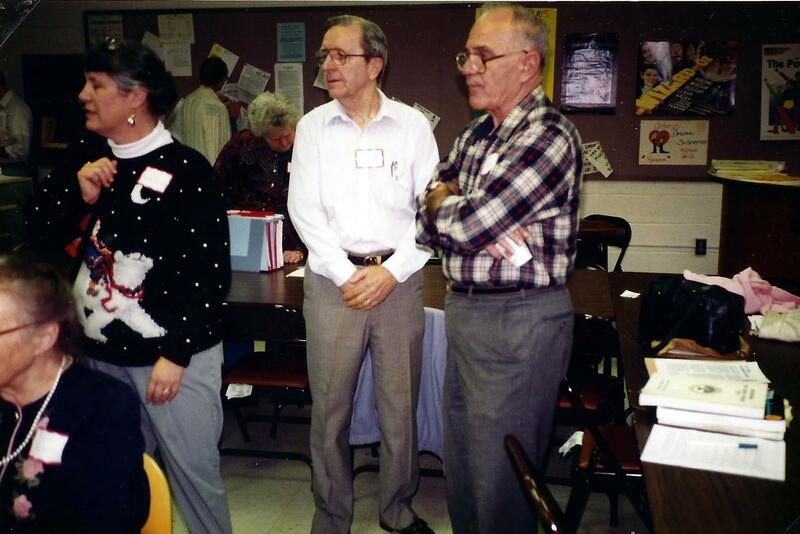 After a brief one-day training session in May 1997, several Society volunteers began what turned into a multi-year project in which they traveled on alternate Wednesdays to the Fairfax County Archives, then located in Springfield, to work on the documents with other groups. There they found tens of thousands of neglected, decaying and uncatalogued 19th- and 20th-century records of all sizes and shapes, many stitched together by needle and thread. While the Fairfax County Archives inventory project was still underway, the Services Committee took on a second outreach project, identifying gravestones at the local Coleman Cemetery on Collingwood Road. 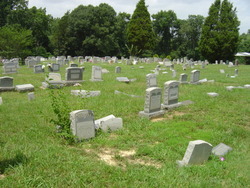 In May the Fairfax Genealogical Society began a major project to inventory all of the county's cemeteries. Eighteen Society members visited the cemetery in June and July 1998 identifying and recording 1,200 gravesites. In August the report was turned over for publication with other entries. 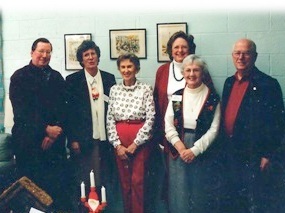 The Society's new emphasis on outreach programs had been institutionalized in December 1997 when the Board gave the Services Committee new responsibilities for promoting the observance of Family History Month (October), publicity, working closely with the local Family History Center on its annual genealogy conference, and for redoubling efforts to introduce family history into the curricula of the county's schools. One of the Society's major tools for contacting the outside genealogical community was publicity. 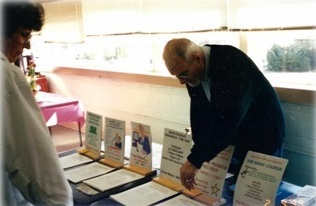 Through 1997 the Society distributed informational flyers advertising its programs and meetings. Since there were no funds to mail the flyers, volunteers distributed them at the various repositories and institutions where they did their research. By October the Society was receiving good feedback on the flyers. At the same time the publicity team designed a bookmark to be distributed in the library. The bookmark had the program printed on one side, and the courses that the Society offered on the other. 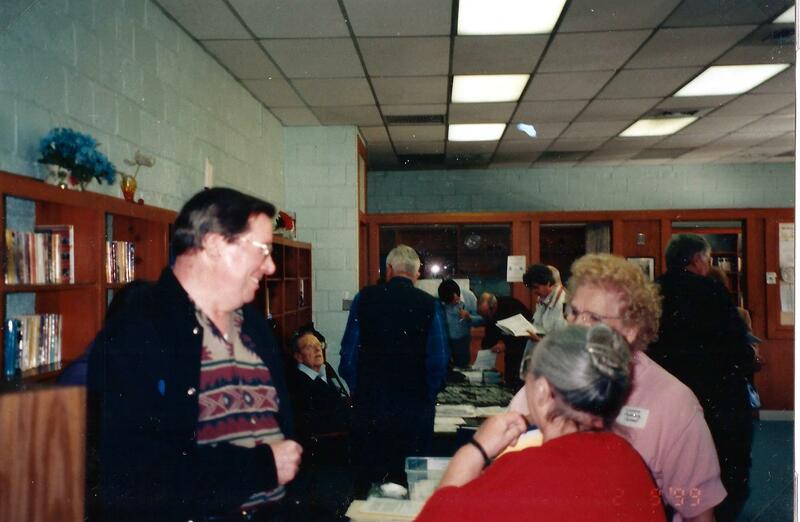 A major publicity effort of 1998 was the members' role in the Family History Center's genealogical conference in November. The Society's advanced advertising helped to make its first conference a success. The publicity effort continued throughout 1999 when Gail Gardner, as had her predecessor, followed her term as president (and newsletter editor) with a year at the helm of the publicity campaign. She expanded distribution of the Society's materials so that by August the flyers had been sent to a dozen locales and letters sent to seven local newspapers. Less successful were the Society's attempts to introduce the subject of genealogy into the local schools. Progress in interesting local schools in genealogy continued to be thwarted in 1999. Although some interest was shown at the teacher level, the county administration was faced with too many competing demands for subjects to be included in the curriculum. If a place were to be chosen as the Society's geographic and communal core it would be the Library. From its early status as part of the Services Committee, the Library grew gradually to become a full-fledged Standing Committee. This was due primarily to its growth and maintenance of many and important donated books, periodicals, and documents as well as the Society's records. 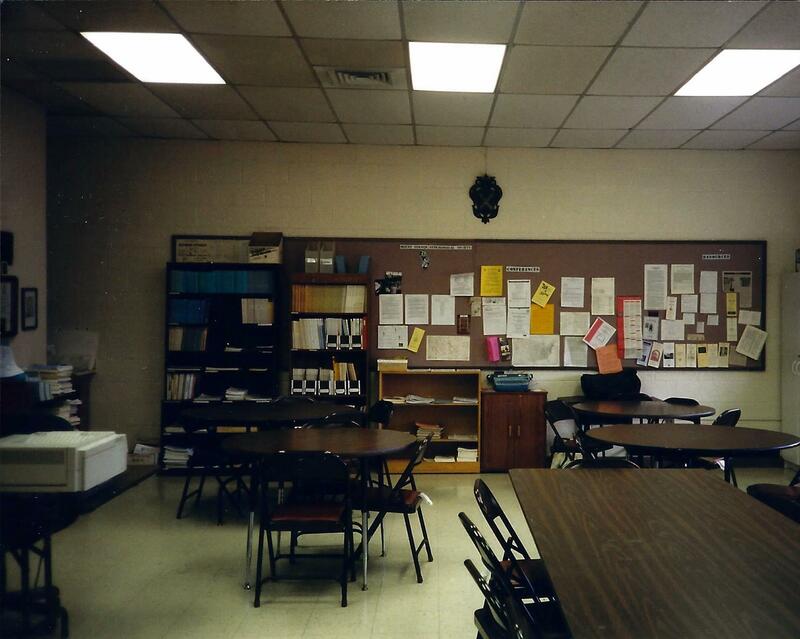 The Library's room was the center of activity, being used early on for membership meetings, over the years for board meetings, often for displays of members' memorabilia, and in later years as “landlord” of the Society's computers. From one perspective, the Library's development can be seen as a progression from the early years when the first librarian, Lucille Michel, worked untiringly to entice members to use the facility. In 1999, her successor, Ann Hanley, had the task of trying to solve the problem of overcrowding, either by rearranging the existing space or relocating the library. One of the librarian's challenges during the early growing years was to demonstrate to the Hollin Hall Senior Center's (HHSC) authorities that library attendance was large enough to justify reserving the room exclusively for genealogy. To induce members to use the library she initiated open houses, set up tables at the general meetings with sample books of library holdings, and began to sell duplicate books. The library's appeal was further enhanced by Ray Bailey's video tapes of the General Meetings, which were stored there for viewing. All of these efforts convinced HHSC to allow the room to remain as a genealogical library. Even so, at first the room was staffed only one afternoon a month, after the Tuesday general meetings. To carry out this first function, the librarian and staff had to answer questions about cataloguing, storing, and circulating material, and the problem of access to the room which could not be locked. There was no difficulty with acquiring genealogical material. Although funds were limited to purchase items, numerous members donated books and periodicals from their own libraries or from book sales. Among the earliest gifts were reference works, copies of the National Genealogical Society Quarterly scholarly journals, file cabinets, a computer, and a microfiche reader. To supplement these contributions, the librarian purchased some books, mostly reference, with funds from donations, the budget, and the sale of books. The number of books grew gradually from 125 at the beginning of 1997 to over 300 a half year later. A donated computer was used to catalog the books and periodicals. While obtaining books and periodicals was no problem, the same was not true for storage. The volume of material at times outpaced the space available to store them, particularly for those more valuable items that had to be kept under lock and key. The librarian's repeated appeals for donations brought some file cabinets, while money was found for others. Starting in March 1996 the Library expanded its hours to every Tuesday from 10 a.m. to 1 p.m. Although the room was never closed, the new hours meant that a member of the Library staff would be present at those times to unlock the cabinets and help visitors with their research. In addition, the room would also be staffed until 4 p.m. after the monthly General Meetings, which by then had been moved to Wednesday. These hours remained unchanged and were faithfully observed for years, thanks to a commendable degree of fidelity on the part of the Library staff. The growth of the Library and the computer activities during 1998 raised the question of elevating these functions to the level of standing committees. On the 19th of April 1999 the by-laws were amended to include two new committees -- the Library Committee and the Computer Services Committee. As the new millennium dawned, the Library room was literally stuffed with important and well-used genealogical resources. Ten cabinets and eleven bookcases (filled), microfilm, microfiche, and copy machines, four computers, printer, scanner, chairs, tables, and all the supporting material of a Library. For the time being, at least, a decision was reached to improve the present room rather than look for a larger one. Belying the oft-repeated but erroneous view that people over fifty can't use computers; three-fourths of the Society's members owned and were using computers at the beginning of the year 2000. Almost from the outset in 1994 many members displayed a lively interest in using computers, but it took several abortive starts before computerized genealogy was integrated fully into the Society. Early in 1995 several members formed a Computer Interest Group which began meeting to discuss the advantages of computerization. Interest was enhanced when Lee Taylor donated a computer (286) to the Library and President Schott lent a printer, but after four months interest waned and the group disbanded. However, computer related information gradually seeped into every aspect of the Society. The newsletter began to include lists of genealogical websites and articles about genealogy on the computer. Computers were the topic of several guest speakers at the monthly meetings. Exhortations to take advantage of the computerized information available at the nearby Family History Center increased. The Training and Education Committee introduced a computer course, which was so popular that it had to be divided into sections. Donations to the Library began to include, in addition to books and periodicals, some computer discs and other computer material. The impetus toward reconstituting the Computer Users Group was provided by a survey taken in September 1997 showing that 24 of the 29 respondents owned and used computers with genealogical software. As a result, in the following month 17 members who had submitted email addresses gathered under the direction of Society member Alan Knoch, a retired civil engineer, to form the group. At the same time, thanks to donations, the original 286 computer, which was now inadequate for the new requirements, was replaced by a donated “stronger” one (486). A gift also brought a laser printer. By year's end ten more members had joined the group. By June enough memory had been added to the computer to permit installation of the Windows operating system which, in turn, allowed the group to install genealogical programs as well as a word processing program. At the same time the group created a website which described the Society and listed its meetings and training courses. The site also contained direct links to other genealogical societies and permitted the viewer to send queries. At the beginning of 1999, with the opening of the presidency of a former teacher and educational fund-raiser, Martha Clement, the computer group had 52 members and the outgoing president recommended that it, along with the library, be elevated to the level of a standing committee. In April, the library and the computer group became separate standing committees with their own major functions. Alan Knoch was the Computer Committee's first chair. The Society had arrived at the point of specialization where the three teams which began life in the Services Committee were now full-fledged independent standing committees. The new Computer Services Committee was given a list of responsibilities that would have been inconceivable a decade earlier when Bernard Hensley started it all. It was charged with planning all of the society's projects which required substantial computer support. Given the rapid expansion of computer technology this entailed virtually everything the Society did. The committee was to maintain computers in the Library, oversee the website, acquire all the software, and maintain the Society's databases. The next section of our history begins with an important part of our Society. 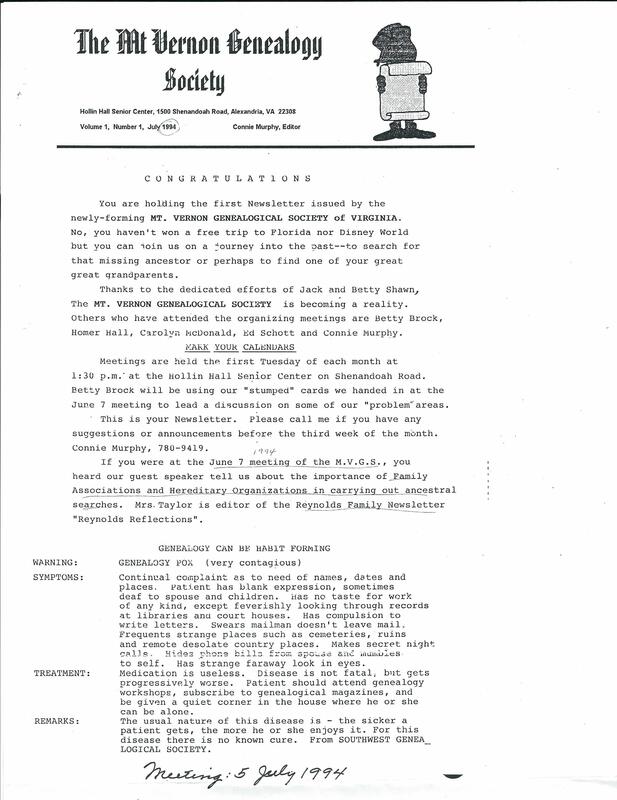 Before the Society acquired its own computer web site and mailing list, the sole official means of communication among members was the Newsletter. Even after interactive computer sites became a reality, the Newsletter was a principal source of information for members who did not have computers, as well as a valuable record of our history. The same holds true today. The original By-laws directed the Newsletter Committee to publish a monthly newsletter to inform members of (1) the Society's activities, and (2) other matters of genealogical interest. The committee was also charged with collecting newsletters from other genealogical organizations. The first issue appeared in July 1994. Its one page, edited by Connie Murphy, did little more than announce its birth. Although there were six different editors in the first two years, due mainly to reassignments, the monthly publication gradually increased in size and improved its format. Early in 1996 publication costs limited the size of the Newsletter to six pages where it remained afterward. In recent years it has grown to 20 pages, is published bi-monthly, and sent electronically to those members having email capability. Over the years the Newsletter struck a balance between reporting on the Society's institutional activities, on the one hand, and on substantive genealogical items on the other. This first category included descriptions of speakers and their topics, board meeting proceedings, lists of courses given not only by the Society, but also by nearby genealogical research organizations, the president's annual report, titles of books and CDs donated to the library, the Treasurer's reports, By-law changes, progress on the Society's projects, and members' biographies. Among published substantive articles were practical lists and charts to assist members in their research, such as old measurements, old names for illnesses, nicknames, tombstone symbols, old abbreviations, Latin terms, currency equivalents, the perpetual calendar, a relationship chart, and others. In addition, the publication gave practical hints for the genealogist, including fifteen ways to find a maiden name; how to calculate birth years from censuses; how to date a tombstone; the Julian versus the Gregorian calendar, patterns for naming children; how to use indexes; and much more. 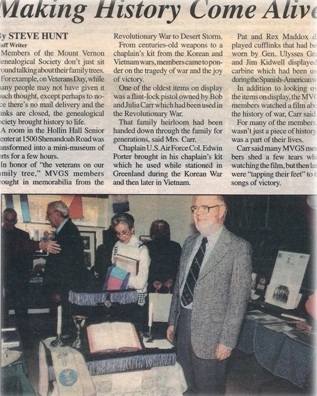 Each month the editor solicited items from members, either by email or through a drop box in Hollin Hall Senior Center's office, put the results on a word processor in newspaper format, and had them printed commercially. At first, without money for postage, the committee distributed them at the monthly membership meetings. Several members delivered them to other organizations, which in turn exchanged their publications. In 1997 several improvements were made to the Newsletter. The February issue appeared with a new masthead featuring an image of the cupola at the Mount Vernon mansion. The August issue was the first that members received by mail, rather than having to pick them up at monthly meetings. This became possible because the Society, which had recently been declared a non-profit organization, now enjoyed a reduced postal rate. At the end of her two highly successful years as editor the Newsletter Gail Gardner, in January 1999, exchanged the “blue pencil” to head up the existing special Publicity Committee. She continued as editor, however, until a replacement was found. In March former President C.C. Brock and his wife Betty agreed to put together and mail the Newsletter for the remainder of the year. As a result of this turmoil there was, for the first time since July 1994, no Newsletter in April. Bi-monthly publication resumed in May for the rest of the year. In January one of the early editors, Julianne Myers, returned to the helm and the News-letter renewed its monthly appearance. Although the activities described above constituted a larger percentage of the iceberg than the proverbial tip, there were also other less obvious functions being performed unseen by the general membership but essential for smooth running of the organization. These included the work of the Honors and Awards Committee, the Membership and Rules Committees, Finance, and the Society's Board of Directors. All of the Society's leaders were and still are volunteers. 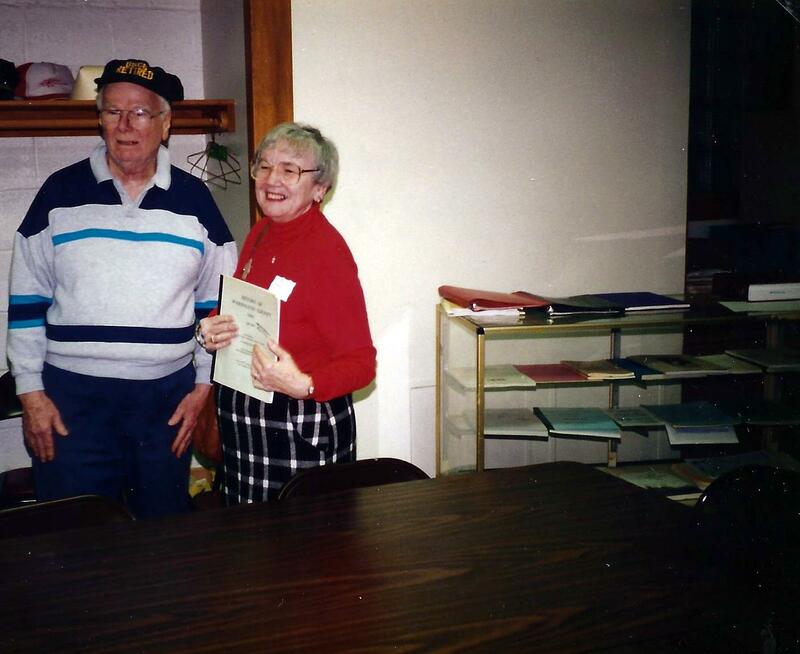 In order to show appreciation for their donation of time and talents, the Service Committee created a small Awards section in February 1996. Mary DePolo, aided by Ray Bailey, volunteered to lead the team, A suggestion that the group become a separate committee was rejected and it functioned for several years as part of the Service Committee. Within a month the team developed a basic design for an award certificate and a policy of granting awards to two categories of people: honorary members and those who had made special contributions during the year. The members were and still are encouraged to make recommendations for awards. By October four awards were given, two to honorary members, and two to special contributors. The Awards program expanded greatly in 1997. By November the group had developed six types of awards: the original Honorary Membership Award, joined by Letters of Appreciation, Presidential Letters of Appreciation, Society Commendation Certificates, Society Awards of Merit, and Presidential Award for Meritorious Service. At the annual December general meeting awards were given to Board members, committee chairs and members, instructors, donors, the Center staff, and special contributors. It was decided to present the awards each year at the Holiday party. Several policy changes concerning awards went into effect 1998. Ray Bailey, took the reins in April as the new chair. Unfortunately, members’ lack of response to the request for nominations led, in August, to the creation of a 7-member panel to consider recommendations. This panel met twice a year to discuss and vote on names submitted by members. It stressed the need for a written justification to accompany each nomination. The panel's decisions were final, except that the Society's President could veto selections. Noting that "there had been some criticism that the 1997 Awards program had gotten out of control," the group decided that granting a smaller number of awards in the future would enhance their value. Letters of Appreciation, which made up half of the 1997 certificates, would no longer be used. Stricter criteria would govern other awards. Throughout 1999 it was debated as to whether or not the Awards group should become a standing committee. Finally, in a meeting in June the following year, the Board approved the elevation of the Awards Committee. At that time it joined its three former Service Committee teammates, the Library, Computers, and Publicity, as an independent organ of the Society. Today Awards is a Special Committee chaired for several years by Chuck Mason who would appreciate nominations from members. At monthly general meetings attendees were greeted by the head of the Membership Committee who announced the latest membership figures and introduced visitors and new members. That introduction, coupled with frequent reminders to sign in, volunteers to bring cookies next time, and not take the permanent name tags home at the end of the meeting, obscured the sizable “behind-the-scene” labors of this group. The By-laws tasked the committee to keep records of all members, prepare and distribute membership rosters, and host meetings by recording attendance, arranging for refreshments, and helping those who wished to join the Society to apply. The committee was also responsible for setting up the meeting rooms with chairs, tables, and whatever equipment was needed by the speaker. Finally it was charged with calling members to remind them of upcoming meetings and events. Before the advent of the mailed Newsletter in August 1997, which announced and described the meetings, the most effective method of reminding members of meetings was to call them. The telephone team initially had ten members, each of whom made about ten calls each month. At first the system was successful. As it became too unwieldy, however, the number of calls was cut back to only those members who had paid their dues. Gradually it was replaced by the Newsletter and later by computerized announcements. Aren’t we glad we have email to remember members now rather than having to call our approximately 300 members! The team responsible for preparing the room for the general meetings gradually became known as the House Committee under the direction of Allan Knoch. Besides setting up and taking down equipment the committee also grappled with the problem of providing an adequate public address system. An original donated Lavalier mike proved not fully satisfactory until the committee arranged a system of speakers that improved the sound. Like scenery changers behind the curtain at an opera, these members unobtrusively prepared the meeting room to receive its audience. Although it was the responsibility of the Membership Committee, post-meeting refreshments were provided by volunteers who signed up at each meeting. Donations were used to pay for the coffee that is provided by Hollin Hall. Leo Dougherty has been kind enough to set up the sound equipment for the past four plus years - Thank you Leo. In the area of record keeping and analysis, the committee produced surveys, membership rosters, and programs. A membership-wide survey taken in mid-1996 led the committee to distinguish two types of members: novices and experienced researchers. This information provided a basis for other committees to decide which courses to offer, which speakers to invite, what information to include in the newsletter, and much more. The committee also produced annual membership lists that were distributed at the mid-year monthly meetings. At general meetings the committee circulated four-page programs containing the agenda, a notice of the last and the next meetings, and brief items of interest to members. For a few months in 1997 it used these programs for "networking," -- that is, asking members at the meeting to list, by their printed name on the program, the surnames they were researching, and to hand them in. The replies were consolidated into a Surname List published the following January. It was hoped that this would acquaint members with the research that was going on around them. This initial surname list was arranged by members' names, each followed by the surnames and geographical areas under research. Although helpful, it was decided that the surname list could be more useful if it were arranged by surnames rather than by member's names. Thus began an eighteen-month project culminating in the summer of 2000 with the completion of a comprehensive roster. The list was entered by using the surname, followed by the country, state, time period, and the member's name. Supplemental lists were to be published from time to time for the surnames of new members. Surnames can still be entered and checked via our website. From the group's elevation to a Society in 1996, three men worked to insure its legal and financial soundness. The first of these, Jim Macklin, a lawyer and chair of the Rules Committee, represented the Society to the Senior Center and other governmental agencies whose laws affected the Society. He was also the guardian of the Society's By-laws, continually reviewing and changing them to keep them current with the organization's changes. Finally, he advised the President and the Board as to the potential legal impact of actions that the By-laws required the Society to take. After authoring the By-laws of 1996, he shepherded them through the approval process first by the Board and then by the general membership. In the next four years he oversaw four major revisions to the rules which increased the number of standing committees from six to eleven, changed the times and locations of meetings, and refined procedures concerning the annual budget, the responsibilities of Board members, terms of office, membership and dues. Over the years several legal matters arose requiring the chair's expertise. After the Society became tax-exempt, the question arose as to whether this included exemption from state sales tax on the Society's purchases. Jim Macklin's report on the subject noted that getting such an exemption was very difficult, and only one genealogical society had ever succeeded. He recommended waiting until year's end to see how much of the Society's expenses were involved. When it was pointed out that the tax on such a small budget (in the area of $3000) would only be about $135, the matter was dropped. Several years later, after the budget and purchasing of supplies, computers, etc., increased, the Society applied for and obtained a tax-exempt status when purchasing items. The task of keeping track of the Society's finances was split between two officers: the Treasurer, responsible for the short term, and the head of the Finance Committee, who dealt with the implications of longer-term budgeting. From 1991 until the beginning of 2000 the former duty was performed by Burt Weston, a former Air Force and government civilian intelligence officer. As Treasurer for nine years, a position-occupancy record, he assiduously collected dues and donations, kept the Society's financial records, prepared an annual financial statement and, at first, maintained the official membership records. His was a familiar figure at every membership meeting as he led with an account of how many members had paid up, how many donations and expenditures there had been since the last meeting, and the Society's bank balance. During his tenure he managed the gradual rise in the Society's dues, gently nudging recalcitrant contributors. The collection of dues was first approved in November, 1994 -- $6 for a member, $8 for a family. Two years later they were raised to $10 and $15, respectively, and finally to $15 and $20. Longer-term financial matters came under the purview of the Finance Committee and its chair, C.C. Brock at first, and then Tom Boyce. This normally one-person committee carried out fiscal analysis, budgeting, and planning and conducted an annual audit of the Society's accounts. Annual budgets submitted by committee chairs each spring were consolidated by the financial officer and submitted to the Board for approval. From this process emerged a projection for the following year of expected income, projected expenses, and an estimation of how much money would remain at the end of the year. Income was generated solely from dues and donations. About a third of the expenses went for printing and mailing the Newsletter. The rest were spread evenly between costs for speakers, library and computer equipment, copying material for handouts and courses, and expenses incurred for dues to genealogical societies and incorporation. The annual audit of the Society’s financial matters is now undertaken by two members of the Society and the Treasurer. From time to time questions arose concerning specific categories in the budget. For example, early in 2000 there was an issue of how to handle donations that were given for specific purposes, such as the library or a compact disc for the computer. This was resolved by adding a separate category for this money. However, the budget remained small enough to circumvent any serious difficulties. The first annual audit, covering 1994 through July 1996, was completed and approved in September 1996, with annual audits following each year. At the membership meeting in July 2000, as the featured speaker looked out from the podium to the audience of over 80 members, he prefaced his talk by remarking: "When I spoke here five years ago there were about a dozen people to hear me. I am utterly amazed, looking at how many of you are here today; how much this society has grown in such a short period of time." What you have been reading is the history of our Society for only its first ten years. The above observation illustrates the society's growth during its first decade from a handful of members to over 240, from a library devoid of books and computers to one with over 3000 volumes and dozens of genealogy discs, from one training course to many, from random pass-the-hat financial arrangements to a rational fiduciary system, and from an unknown small group of enthusiasts to an organization that had taken its place in the world of genealogy both locally and nationally. During our first decade MVGS was filled with challenges and yet we succeeded and now in 2018 have more than 300 members. However, it was this very success that spawned challenges the Society faced as it entered its second decade from 2000 to 2010. It is with thanks to our members and hard-working volunteers on the Board of Directors and the chairs of the various committees that we have come so far. A lot of what has been done since 2010 was “behind the scenes,” i.e., negotiating a contract with Fairfax County for space in HHSC, obtaining insurance for the Society, revising by-laws, instituting a retention schedule, and put into operation a new website. Other accomplishments are more obvious; the expansion of the Research Center, a writing contest, and of course our Annual Lock-In. It is intended that another decade of history be written in this space, so stay tuned. This site will be added to as time goes by with more names and events recorded honoring those who volunteered their time to improve MVGS.